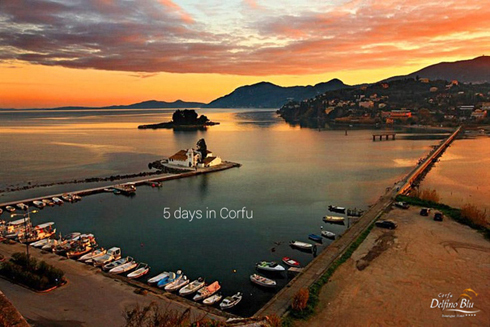 One Corfu Island Holiday is never enough, especially if you only have a few days. You’ll want to come back again and again! The island’s Ionian beauty, powder soft sandy beaches, vivid and varied nightlife, combined with a completely serene atmosphere makes it inevitable that you’ll want to come back to this charming island more than once. Apart from the wonderful beaches, the highlight of the island is Corfu Old Town with the characteristic Venetian style. Discover all of it in a few days. If you have just a few days to explore and discover the island, don’t worry! We’ve put together some tips for a five day adventure to get a taste of the best and brightest sites on the island.